On a recent trip to Kolkata, my mom and I walked into a fabric store. While we were browsing through thaans and thaans of very interesting fabric, we gloated in our discovery of this treasure chest of fabrics – there are fabric stores and then there was this. Very differently treated fabrics, lovely embroidered fabrics, fabrics with intricate cut-work, fabrics in very en vogue colors – something not so common to find. As my mom and I discussed what we’d do with a lovely shaded peach georgette appliqued fabric – the store owner approached us with a potential design. I was surprised, taken-aback, impressed and saddened – all together. I was surprised because he came up to us with a beautiful image of an outfit made from the same (or similar-looking) fabric. I was taken-aback, because the design he showed us was an original Gaurav Gupta outfit from one of the recent fashion weeks, I recognized it from the distinct style of buttons he uses. What impressed me was – he showed us this set of images on his i-Pad! On further exploring, I realized he had pictures of entire collections from the last 4-5 years of fashion shows of all leading Indian designers – he had everyone from Sabyasachi to Tarun Tahiliani to Manish Arora. Just ask for the collection, browse the images, point out the one you like and voila! – He has the exact fabric to be able to replicate the outfit, all in a few thousand rupees. And if he doesn’t have it – he offers to create that fabric for you within 30 days! This got me very curious – and I started observing the people shopping there. I soon realized that it was not just this store that was thriving on the knock-offs, he was just the provider of the raw-material. There were housewife-turned-“boutique owners” who seemed to have been sitting in the store for a few hours now, with thaans of fabric strewn around them – picking and choosing to assemble an outfit “inspired” from the greats! I always knew this was happening – but experiencing this store and the shoppers made me realize how this undercover parallel industry is thriving on the glamorous, controversial, larger than-life, fashion industry. Observed another example of the same nonchalant attitude towards ‘inspiration’ while we were researching sales experiences at jewelry stores a few months ago. We walked into a small independent jewelry store in Mumbai and started chatting with the owner about a pair of earrings we’d liked – he proudly claimed “this is a copy of Chopard design… that’s why it’s so unique”. Sounds to me like an oxymoron – sure it was meant to be unique when the team at Chopard made it, but now that several jewelers like himself must have copied it – it neither remains special for the original owner neither does it remain unique. A similar thing is happening in the slums of Dharavi in Mumbai. A drive along the slow-moving, traffic-packed road along the leather shops in Dharavi – I have had sightings of the entire gamut of luxury handbags and belts ranging from Marc Jacobs, Prada, Gucci, Louis Vuitton, Chanel and even the iconic Hermes Birkin! These people have caught on to the identifying elements of each of these brands and improvised. For example: they have identified the rectangular gold Marc Jacobs plaque, the triangular Prada tag, the Gucci stripe, the Louis Vuitton checks, the classic Chanel padded criss-cross pattern and the leather and metal chain strap; and created knock-off leather accessories using these distinct elements. The irony of the situation is that most people shopping here are so far removed from the original brands, that they wouldn’t even know that what they are buying are knock-offs. This brought home to me the growing demand for all-things “designer” – even amongst people that cannot afford true designer merchandise and the cottage industry that has risen to satisfy this demand. Seems like the growth in the luxury goods market has been accompanied by growth in the industry of counterfeiting, right in its shadows. Entry filed under: Consumer behavior, Consumer Trends, Observations. 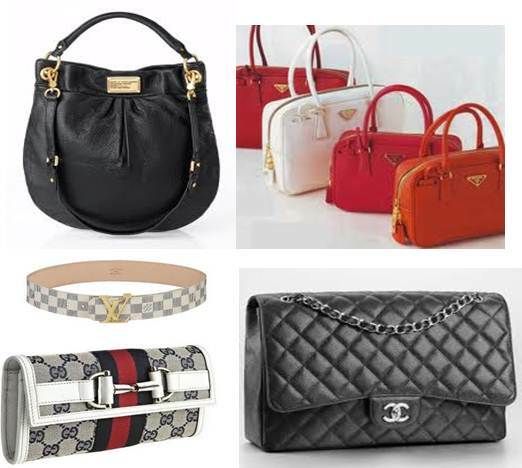 Tags: anecdote, Consumer preferences, counterfeits, designer handbags, knock-offs. Generally I do not read article on blogs, but I wish to say that this write-up very much compelled me to try and do so! Your writing taste has amazed me. Thank you, quite nice post. Thank you for another magnificent post. Where else may just anybody get that type of info in such an ideal way of writing? I’ve a presentation subsequent week, and I’m on the search for such information.